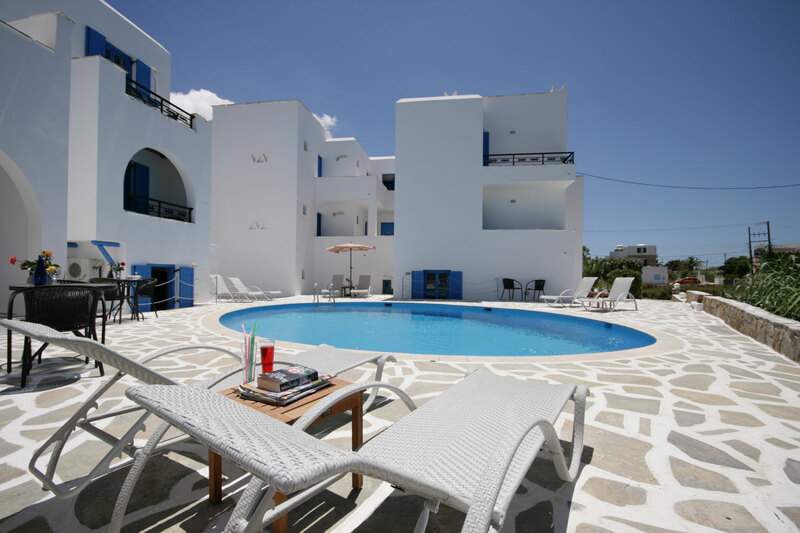 Sunny Beach Studios is located near St. George's (Aghios Georgios) Beach in Naxos. Since 1995 it offer low cost holidays. After the recent renovation (2013) it will definitely suit your needs. Naxos is the largest island of Cyclades yet the one with the most fertile ground of all. Located in the heart of the Aegean Sea, Naxos sets the perfect destination for intellectuals, academics, artists, athletes (especially climbers) and travelers in general. This is indicated by the fact that due to the island's important impact on Greek civilization and history from prehistoric times as well as its geographical diversity, Naxos is an attraction for travelers of any kind of taste. While entering the harbor one can be astonished by the imposing ancient monument Portara (the ancient Apollo temple), which leaves the impression that Naxos is more than a simple island.